The Zoop Novo is the perfect dive computer to start your diving journey. 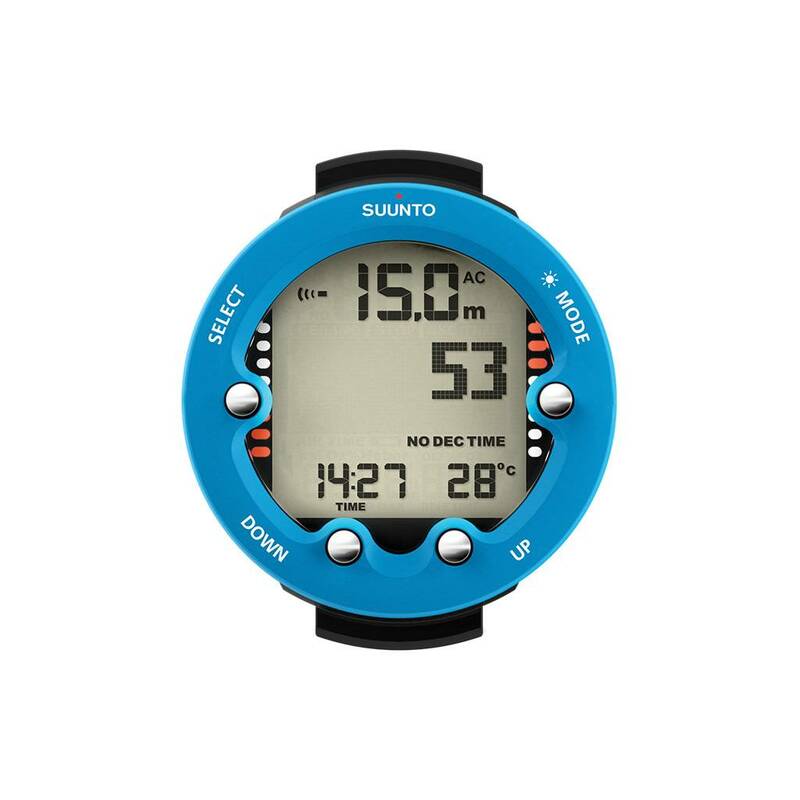 Its user-friendly features and easy-to-understand dive data is all you need to suit up, dive down, and enjoy the view. The super-bright and big backlit display makes looking at your stats at a glance simple. The Zoop Novo includes full decompression capability, four dive modes (Air, Nitrox, Gauge and Free) and comes in Lime, Blue or Black. 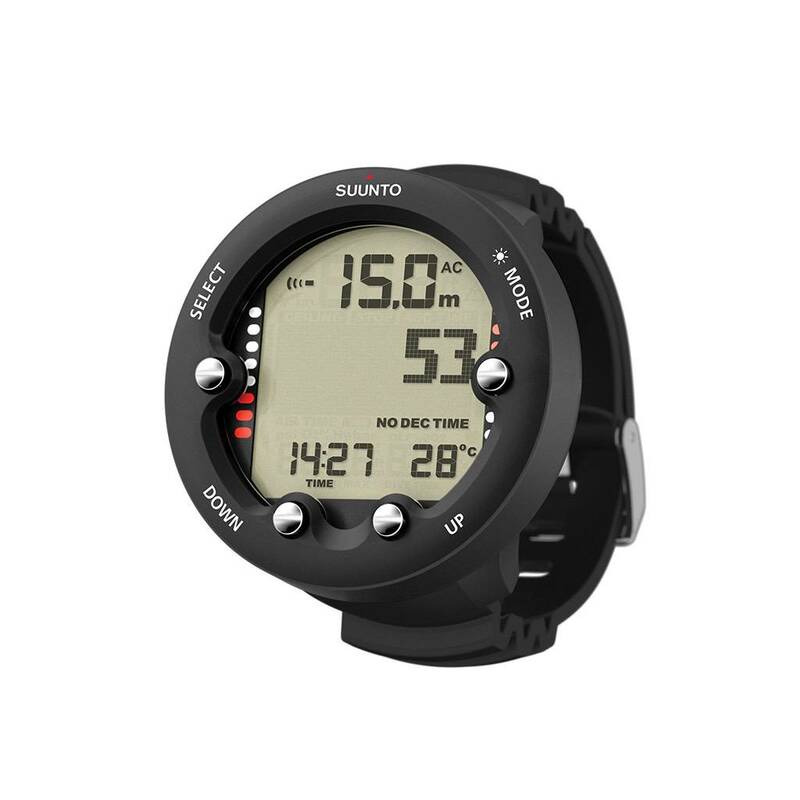 The Zoop Novo from Suunto is one of the top ranked dive computers for entry-level divers thanks to its intuitive features, sleek design and capability. Unlike some other entry-level dive computers on the market, the Zoop Novo is a multi-button wrist computer with a backlight for low-light environments, an easy-to-navigate menu, water activation and much more. The Zoop Novo is one of the only entry-level computers you’ll be able to hear underwater, and has a strong build to last you years. 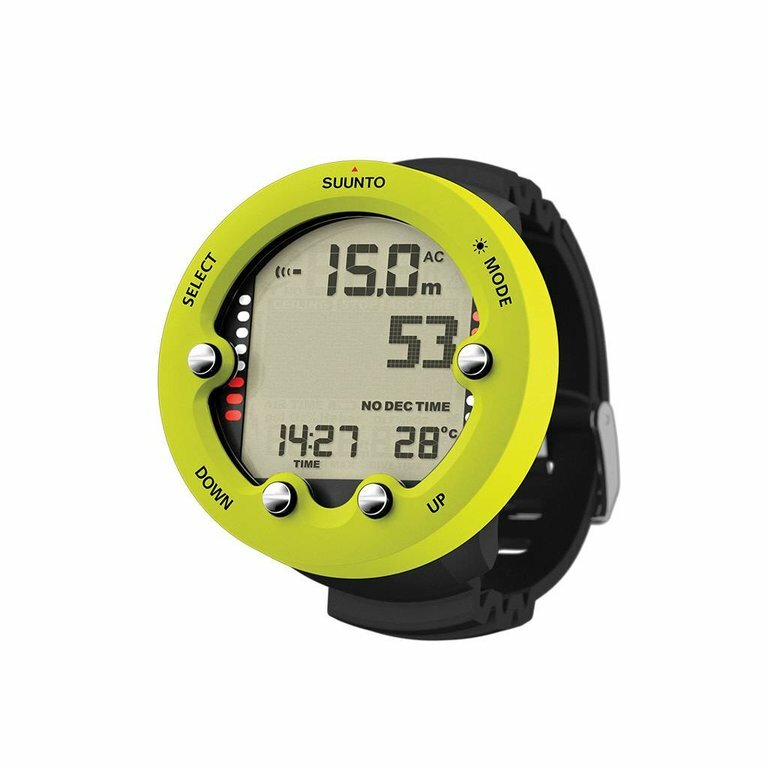 Get all the features you need to feel confident underwater with the Zoop Novo from Suunto. Having space to record each of your dives is important. Other dive computers may have 35 to 70 hours of logbook memory at best. The Zoop Novo features 140 hours of logbook memory to fully capture every statistic from your dives before you download them. The History setting stores data, and allows you to transfer your information when you need it. The best computers on the market today will feature four modes: Air, Nitrox, Free and Gauge. Having these features readily available on an entry-level dive computer will make your decision worthwhile. The Zoop Novo boasts all of these modes, while other computers may only include a combination of Air, Nitrox and Gauge. The Free mode allows you to completely avoid having to own another computer for freediving. Changing the battery on your Suunto Zoop Novo is simple and inexpensive. Ordering a battery kit from Suunto includes the battery itself, an O-Ring and screws. The screwdriver needed is a T-6 Torx. The user-changeable battery feature makes it easy to fix your computer wherever you are. Total Diving does do battery changes. Suunto’s computers, including the Zoop Novo uses the Reduced Gradient Bubble Model algorithm. By monitoring multi-day diving, closely spaced repetitive diving and deeper divers, the RGBM algorithm knows when to plan decompression stops for your safety.